Samsung Galaxy J4 Plus vs Redmi 6 Pro vs Redmi Note 5 Pro: Which one is a better buy? South Korean tech giant Samsung recently revealed pricing and availability details of its Galaxy J4 Plus smartphone in India. It is priced at Rs. 10,990 which puts it in direct competition with the likes of Xioami Redmi 6 Pro and Redmi Note 5 Pro. As we know that Xiaomi dominates the sub 20k price segment as it manufactures and sells power packed phones with aggressive pricing strategy. Let us compare the Galaxy J4 Plus with Redmi 6 Pro and Redmi Note 5 Pro in order to find out if the Galaxy J4 Plus will be able to take on its counterparts. The Galaxy J4 Plus features 6-inch HD+ Infinity Display with screen resolution of 720 x 1480 pixels and an 18.5:9 aspect ratio. The display doesn’t have notch at the top unlike most Android phones being launched nowadays. While, the Redmi 6 Pro sports 5.84-inch full-HD+ display panel with 1080 x 2280 pixel resolution and a 19:9 aspect ratio. The display comes with notch at the top which can be hidden. On the other hand, the Redmi Note 5 Pro flaunts a 5.99-inch full-HD+ display panel with 1080 x 2160 pixel screen resolution and an 18:9 aspect ratio along with a 2.5D curved glass. It’s quite obvious that although Galaxy J4 Plus has a slightly bigger screen, the resolution is not at par with that of its counterparts. So, a thumbs down to Galaxy J4 Plus in this department. In terms of dimensions, the Galaxy J4 Plus measures 161.4×76.9×7.9 mm and weighs in at 178 grams. 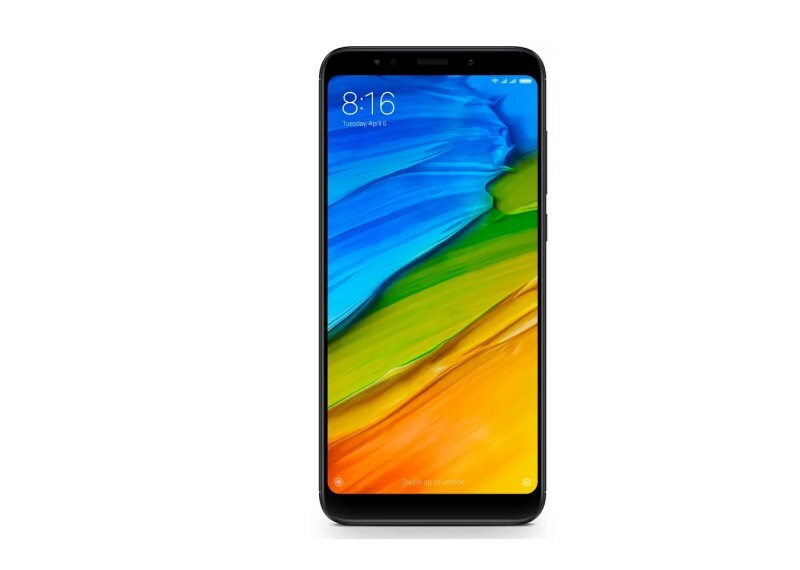 The Redmi 6 Pro measures 149.33×71.68×8.75 mm and weighs about 178 grams. While the Redmi Note 5 Pro measures 158.6×75.4×8.05 mm grams and weighs about 181 grams. So, Galaxy J4 is the slimmest and the lightest of the three phones. The Galaxy J4 Plus draws power from an unnamed quad-core SoC clocked at 1.4GHz along with 2GB or 3GB of RAM and 16GB or 32GB of onboard storage. While, the Redmi 6 Pro is powered by a Qualcomm Snapdragon 625 SoC along with an Adreno 506 GPU, 3GB or 4GB of RAM and 32GB or 64GB of onboard storage. The Redmi Note 5 Pro is fueled by an octa-core Snapdragon 636 processor paired with Adreno 509 GPU and 4GB or 6GB of RAM. The onboard storage capacity of the device is 64GB which is expandable via microSD card in a hybrid dual-SIM format. So, just as expected, both the Xiaomi devices outperform the Samsung’s Galaxy J4 Plus as they carry powerful chipset. The Galaxy J4 Plus runs Android 8.1 Oreo out of the box and is fueled by 3,300mAh battery under the hood. The Redmi 6 Pro is fueled by an impressive 4,000mAh battery under the hood and it runs MIUI 9.6 based on top of Android Oreo 8.1 out of the box. The Redmi Note 5 Pro is also backed by a 4000mAh battery, but it runs Android Nougat-based MIUI 9 out of the box. Again, the Galaxy J4 Plus has a comparatively lower battery and the Redmi 6 Pro emerges as the clear winner here due to its massive battery capacity along with latest operating system. In the camera department, the Galaxy J4 Plus offers a single rear camera of 13-megapixel along with f/1.9 aperture and LED flash. On the front you get a 5-megapixel camera with an f/2.2 aperture for selfies and video calls. Both Redmi 6 Pro and Redmi Note 5 Pro sports a dual rear camera set up. The Redmi 6 Pro bears a combination of 12-megapixel primary sensor + 5-megapixel secondary sensor with f/2.2 aperture, PDAF, and LED flash. The front hosts a 5-megapixel sensor for selfies. While, the Redmi Note 5 Pro sports a dual rear camera set up that comprises of 12-megapixel primary sensor with f/2.2 aperture + 5-megapixel secondary sensor with f/2.0 aperture. For selfies, there’s a 20-megapixel camera with an LED flash support. So, on paper the Samsung’s Galaxy J4 Plus loses the battle with Xioami’s devices as it features a single rear camera whereas the Redmi Note 5 Pro emerges as the winner due to its dual rear camera set up and impressive 20-megapixel selfie sensor. The Galaxy J4 Plus is priced in India at Rs. 10,990 and will come in three color options Black, Gold, and Pink. The Redmi 6 Pro base variant i.e. 3GB RAM + 32GB storage is priced at Rs. 10,999 and 4GB RAM + 64GB storage variant is priced at Rs. 12,999. It will come in Black, Blue, Gold, and Red color variant. The Redmi Note 5 Pro is the most expensive of the three phones and is priced at Rs. 14,999 for the base variant i.e. 4GB RAM and Rs. 16,999 for the top variant i.e. 6GB RAM. Although Samsung has done a good job in offering a budget smartphone unlike its track record of launching mid-range or flagship products, it still lags behind in terms of performance as compared to both the Xiaomi phones. As expected, Xioami lives up to its reputation of offering power-packed phones with affordable price tags. The Redmi 6 Pro is priced slightly higher than Galaxy J4 Plus, but it provides a lot of value in return so in our view it is a clear winner. If you can stretch your budget a bit, then Redmi Note 5 Pro is also a good option to consider. The only issue with Xiaomi is that their phones are available via online flash sales and its difficult to get your hands on them due to the high demand. So, waiting period is one factor that you’ll need to consider if you are planning to buy a Xiaomi device.